After the acquisition by Red Hat eNovance, the services world around OpenStack is boiling. This is due to lack of skills and the rapid rise of the software stack. Companies are looking for integrators and specialists at all costs. In this context, Mirantis, an American company doing well out of the game and claimed first place in the telecommunications sector. Within a short time, Mirantis has built a strong reputation in the small world of OpenStack. After significant places in the deployment and services around the platform in the USA, the company is now expanding in Europe with offices in the Netherlands, Poland, Ukraine, Russia and France. The latter office will serve both as a service center and R & D and training center for other European countries and major customers Mirantis. Mirantis has also cut the lion's share of its business in the sector of telecommunications operators, large IT users before the Lord, with spending estimated by Gartner to 1600 billion dollars in 2014 worldwide. The provider now aligns an impressive list of references in this sector. The assets of the company are proposed very close to the original version without locks owners and accompanying high-level services stack. 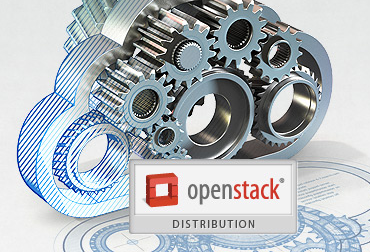 The company also offers a possibility to use OpenStack in Cloud by an offer Express.